A woman’s risk of atrial fibrillation increases significantly after a diagnosis of breast cancer, Danish researchers have reported. The two conditions are likely to be linked by the inflammation induced by breast cancer, researchers say. The study, published yesterday (29 January) in HeartRhythm, involved figures from nationwide registries in Denmark on 74,155 female breast cancer patients and 222,465 comparable women from the general population. Overall, the long-term risk of atrial fibrillation was significantly increased for patients with breast cancer. The risk for those below 60 years of age was more than doubled in the first six months after diagnosis. It rose by 80% between six months and three years after diagnosis. Among patients over the age of 60 the risk did not rise during the first six months but increased by 14% between six months and three years after diagnosis. 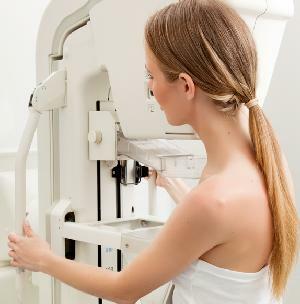 Lead investigator, Dr Maria D’Souza, of the Herlev and Gentofte Hospital, Hellerup, Denmark, said: “Modern treatment regimens ensure that approximately 80% of breast cancer patients become long-term survivors. Healthy survivorship can be threatened, however, by long-term complications resulting from both the cancer and related treatments. “Notably, increased frequencies of cardiovascular disease, especially heart failure and ischaemic heart disease, have been observed in survivors. “This study was the first to show that women with recent breast cancer had an increased risk of developing atrial fibrillation. Our findings should encourage doctors to focus on the risk of atrial fibrillation in patients with recent breast cancer in order to diagnose and treat as early as possible.